Kim Brreed's EDC fixed blade is a great size for carry at just 7 inches overall with a 3.25-inch carbon Damascus drop point blade. The scales are Jigged Bone with red liners. 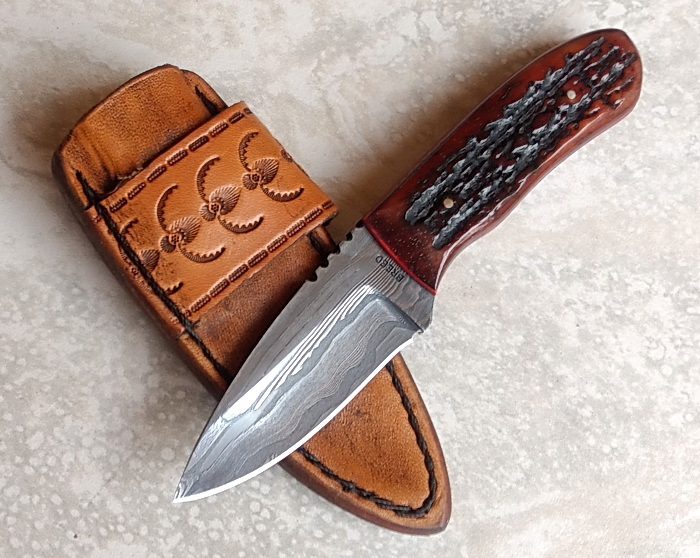 A Wheeler-made leather horizontal sheath completes the package.